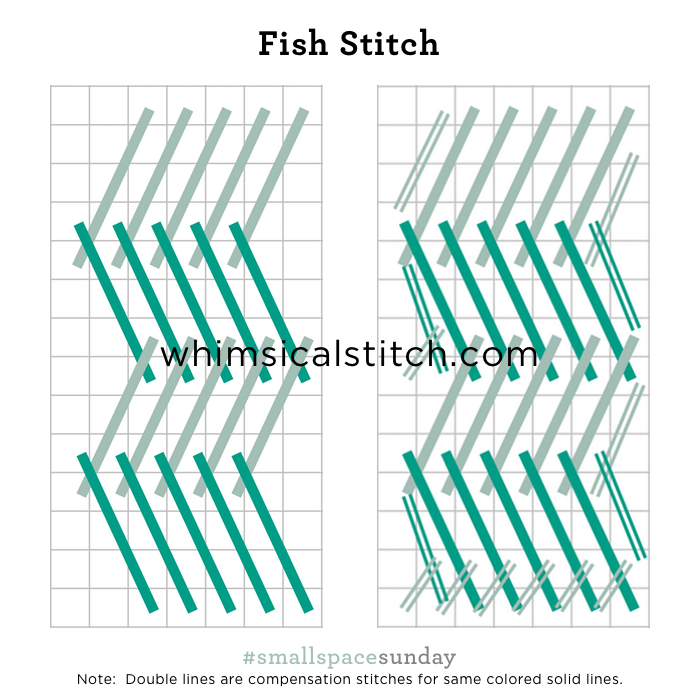 The darning stitch is a fantastic glass stitch*. I love how you can play with the width of the stitches based on the size of your window. I'm sharing three variations today, offering ideas for different sized windows. 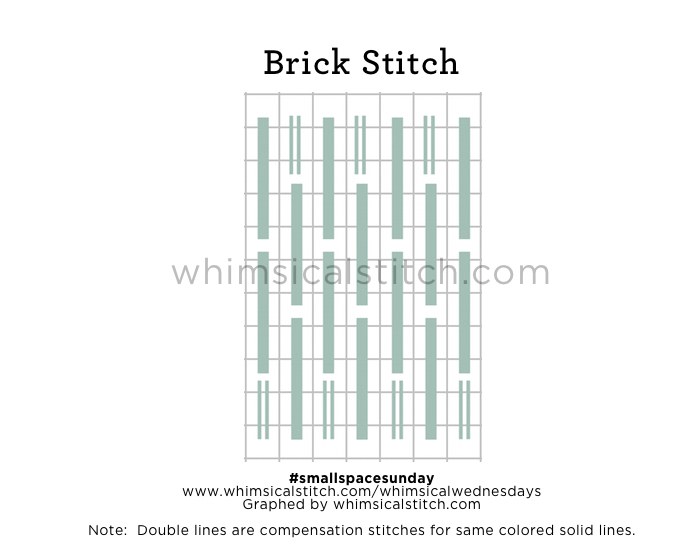 Today's stitched sample on Instagram illustrates the first stitch. It is a wider darning stitch I used for a very large window in a Sandra Gilmore piece. 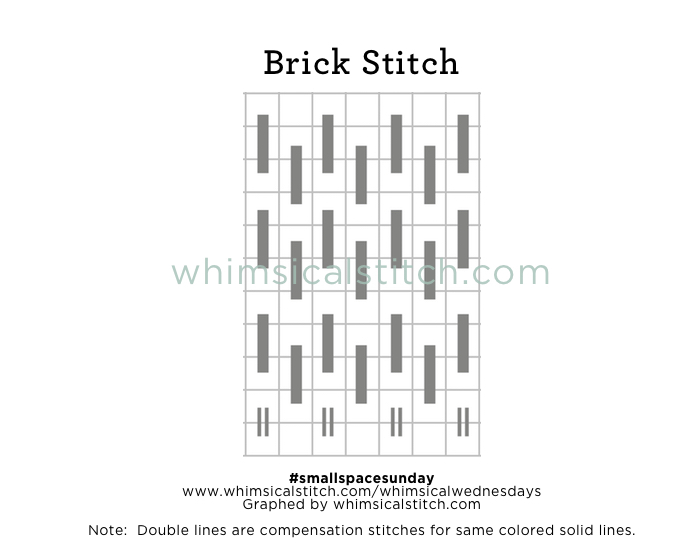 For a medium to small window, consider a darning stitch over two rows. I did this stitch in pairs as I like the way they look. 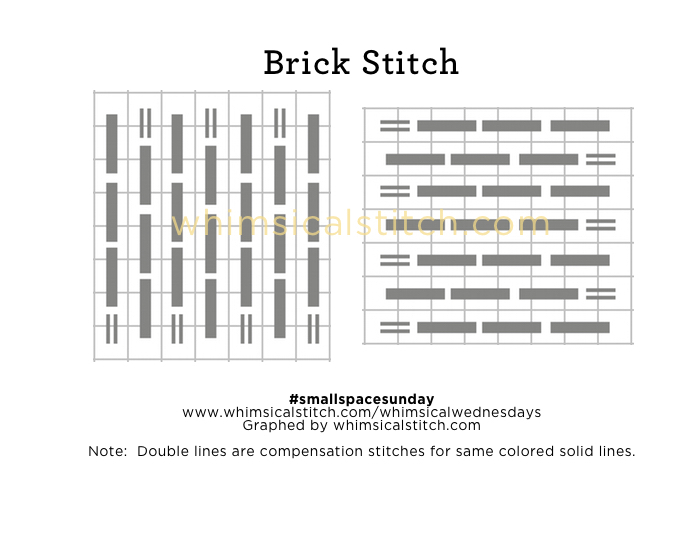 However, if you prefer your open space to be in smaller bits, feel free to use the over two pattern in single rows with the same offset pattern for every other row, instead of every two rows. I suspect you have figured out where we will end for this stitch. Yup...over one row. I was completely doubtful and uncertain the first time I did this stitch. And I absolutely loved how it so delicately showed the shading, yet was still a stitch. It's perfect for a tiny window. 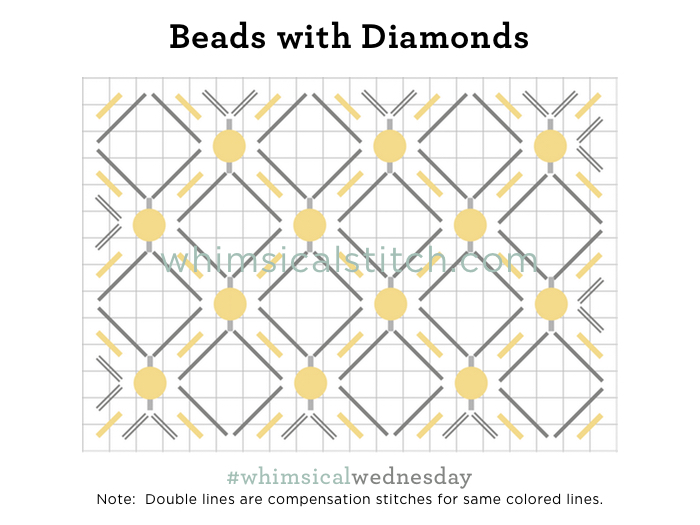 I hope you have the perfect windows for these stitches!